Download the required, preliminary readings and handouts here. 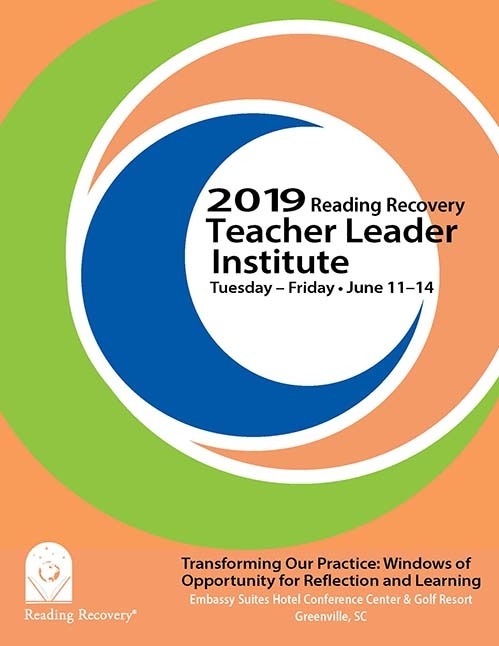 The Teacher Leader Institute is required professional development for active, certified teacher leaders, and teacher leaders-in-training in the United States. Reading Recovery trainers and trainers in training also attend the Institute. Local visitor information, shopping, and entertainment: Greenville is located in the upcountry region of South Carolina, in the foothills of the Blue Ridge Mountains. Please note, there are two Embassy Suites hotels in Greenville; check the name and address of the TLI hotel before making reservations. The hotel is 8 miles from downtown Greenville and 9 miles from the Greenville-Spartanburg International Airport (GSP). Information on restaurants and area attractions can be found at Visit Greenville. All payments will be by credit card and due at the time you register online. No Purchase Orders or checks will be accepted this year. Thank you and we look forward to seeing you in June!